The Lakeland Terrier dates back to the 1800s and gets its name from its home of origin, the Lakeland District in England. 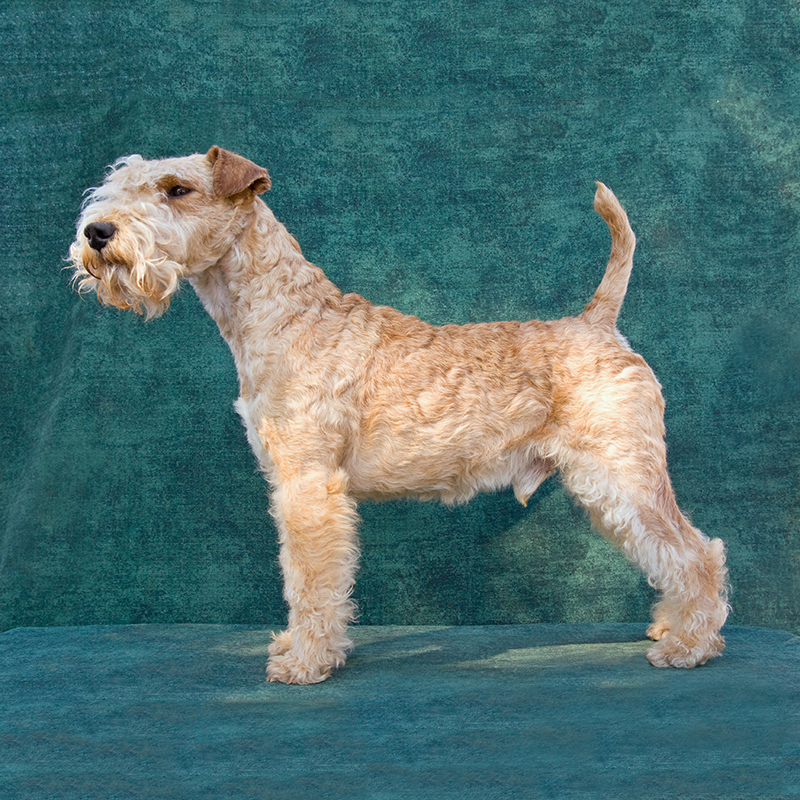 They are one of the oldest terrier breeds that still exists today. The breed was developed to be a fox hound by crossing the Fox Terrier and the Airedale Terrier. The Lakeland Terrier got its great stamina from running long and hard after foxes in the mountainous, rocky terrain of the Lakeland District. Its size and energy made it easier to reach the foxes in their lair. They were also used on the farm to prevent fox and other vermin from destroying crops and herds. Some words to describe the Lakeland Terrier have been: clever, adventurous, mischievous, playful, loyal, alert, cheerful, loving, confident, brave, and affectionate. They absolutely love children. They do well in an apartment and are very active indoor and outdoor. They need daily, brisk walks. Lakeland Terriers usually weigh between 15 to 17 pounds and stand approximately 14 ½ inches tall. They are small to medium size with a muscular build. Their coat is hard and wiry and comes in a variety of colors including blue, black, liver, black & tan, blue & tan, red, red grizzle, grizzle & tan, and wheaten. There are many stories about the Lakeland’s courage. In 1871, Lord Lonsdale had a Lakeland that crawled 23 feet under rock to get to an otter. In order to save the dog, it was necessary to do extensive blasting. The dog was rescued three days later, still in fine shape. Some dogs were recorded to have survived after 10 to 12 days. Some, however, paid the ultimate price.